Deep, dark ruby color with a hint of garnet. Elegant, complex, well-integrated and rich. Attractive aroma mingles cassis, blackberry fruit, spice, violets, sweet cedar, leather, vanilla, earth and salami. Flavors mirror the aroma with rich texture and a long minerally finish. Clusters were destemmed before going through fermentation in open-top T-bins, and the wine was pressed off of the skins after two weeks of maceration. 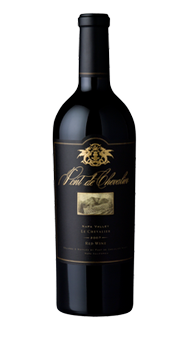 The wine was then aged for 23 months in 100% French Oak. Enjoy with osso buco with fried polenta and a tomato and olive relish, or braised short ribs with parmesan risotto. For a more California style, pair with sous-vide lamb with California wild rice and spring vegetables.